Liverpool is one of the Big Four club in English Premier League or EPL which used to participate in every season of the English top flight. As usual they have participated in the ongoing season of EPL and current is standing in 4th position on the EPL point table. They played quite well and their overall performance are also good. In the last match, Liverpool won dramatically against Burnley in Premier League. At the first match in the new year, the Reds was about to lose the points. At the last moment, Burnley returned the goal and hoped to get a point. But in the additional minutes of the game, the team of Jurgen Klopp scored a goal and claimed an amazing victory in Premier League. 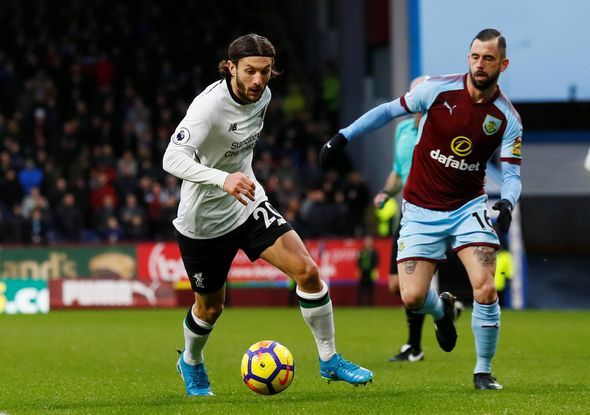 At the first day of the new year, Liverpool won the match against Burnley at the home venue of Burnley and the scorers of Liverpool were Sadio Mane and Klavan. In the match which was staged at Turf Moor in last Monday, Liverpool missed plenty of chances. In 16th minutes the guest team got the first real opportunity. Oxlade Chamberlain made a shot which was stopped by the Burnley goalkeeper Pope. In 37th minutes of the game, Oxlade Chamberlain passed the ball to the English forward Solanke who made a weak shot and wasted the chance. Just after two minutes, the local team Burnley got the first chance. The shot of Arfield was missed just for a little. So, first half finished with 0 – 0 goal. In the 1st chance of the second half, Sadio Mane made it to the goal. In 61st minutes of the game, the most speedy shot of the Senegal forward escaped the goalkeeper Pope and got the first goal. In 74th minutes of the game, Liverpool went close to the second goal but the shot of Alexander Arnold was stopped by Pope and saved his team once again. Just after ten minutes, Oxlade Chamberlain tried but failed due to the stopped. In 88th minutes of the game, Burnley returned the goal. This time Guomunds­son scored the goal for Burnley. A cross was missed by the Liverpool players and the Iceland midfielder made it to the net. Full time finished with 1 – 1. In the 4th additional minutes of the game, Lovren made a cross and Klavan made it to the goal through his head. So, Liverpool once again went ahead. Through the victory, Liverpool gained consecutive three Premier League victory in the season. Through the victory, Liverpool achieved 44 points by playing 22 matches. They are in 4th position on the point table now.